Kenny has said the Tuam discovery is "truly appalling". TAOISEACH ENDA KENNY has described the revelations of the “significant number” of human remains at the site of the former mother and baby home in Tuam, Co Galway, as “truly appalling”. Citing the work done by historian Catherine Corless to bring this issue to light, Kenny said that the way babies of single mothers were treated in this country was “akin to some kind of sub-species”. The Taoiseach also told RTÉ that it was up to the coroner and everyone involved to “see how best we can proceed with the next step in this case, and possibly others”. Kenny said that Minister for Children Katherine Zappone was liaising with the Commission of Investigation into the mother and baby homes to see what next steps should be taken, and evaluate if the commission’s terms of reference needed to be extended. The Fine Gael leader said: “This is not something which happened way back at the dawn of history. This happened, in some cases, in our own time. He added the discovery put those whose siblings died in the home in a “horrendous situation” and said that the situation needed to be dealt with as quickly, as effectively and as sensitively as possible. You can find TheJournal.ie’s coverage of the Tuam mother and baby home here. Email “Enda Kenny says babies at Tuam home were treated like 'some kind of sub-species'”. 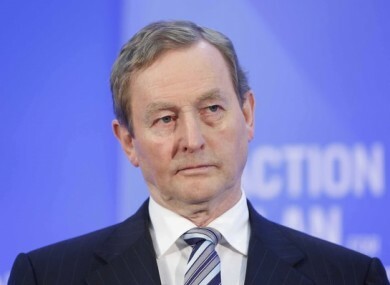 Feedback on “Enda Kenny says babies at Tuam home were treated like 'some kind of sub-species'”.